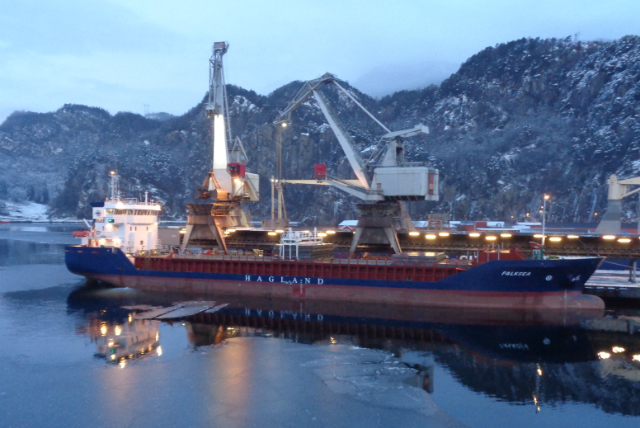 Hagland Shipping expands its fleet to 12 vessels, after entering into agreements of long-term charters of two new vessels, Famita and Falksea, from Misje Rederi in Bergen and Falkeid Shipping at Finnøy, respectively. With these charters, Hagland Shipping strengthens its position as a leading operator of self-discharging bulk vessels in Northern Europe. The new vessels are both 4,900 dwt, built in 2002 and now rebuilt as self-dischargers against charters with Hagland Shipping. Earlier this year, Hagland Shipping bought the vessel Hagland Chief from Dutch owners. Hagland Shipping’s fleet now comprises six owned and six chartered vessels. With the latest additions the company’s transport capacity increases by approx. 25%. The vessels transport various bulk goods and timber, and will in 2017 transport more than 3.5 million tons.